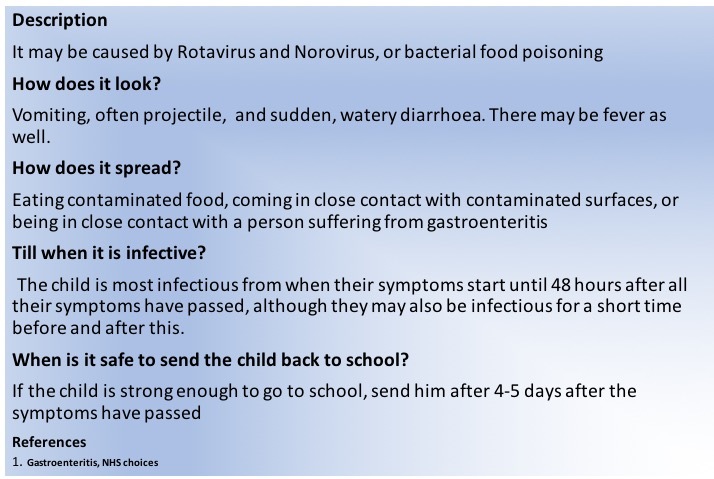 When is Your Child Safe to go Back to School After an Illness? 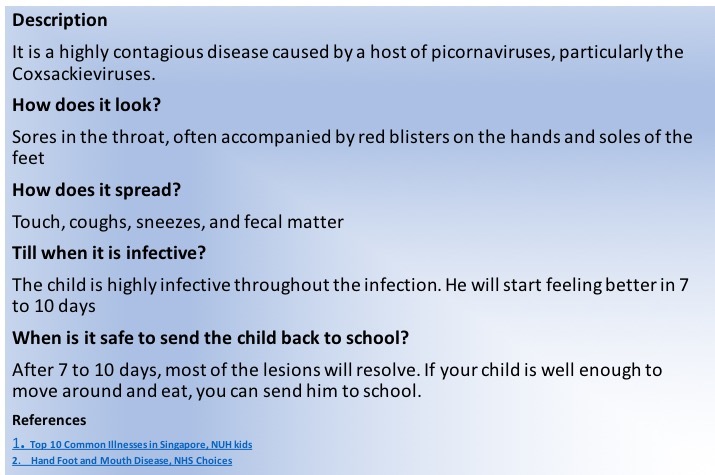 When should your child go back to school after an illness? The child has been diagnosed with an illness. When is it safe to send him back to school? Let's find out. As a child grows up, his immunity starts to develop better. One of the ways he gets it is from birth. 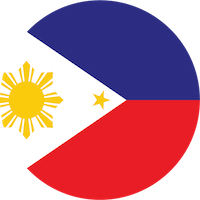 It is the innate immunity. In all other cases, he acquires it by either receiving antibodies from the mother, controlled exposure through vaccines or by being exposed to infections. And the latter part is why children of school-going age end up falling sick so often. When you go to the doctor, he will tell you what the illness is, and how to take care of it. The scope of this article is to tell you when it is safe to send them back to schools/day care. Most of the schools do have a sickness policy. That said, it is always better to know what to expect from an illness so that you can plan your days ahead. 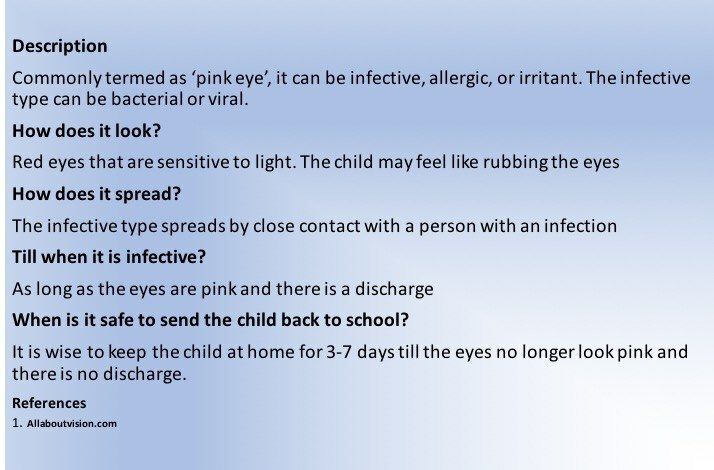 If the illness is not contagious, you can safely send the child back as soon as he starts to feel better. However, some illnesses warrant rest and isolation. As explained earlier, I am not going to get into the depths of 'how to know' if your child is suffering from a particular illness. This is meant for children who have been diagnosed with the illness. So, here are the 6 most common conditions in children of school going age. 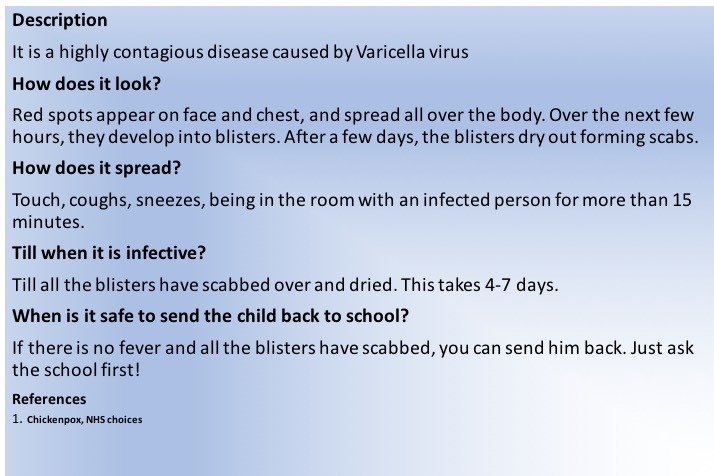 The conditions are contagious, so every parent must be aware of them. I have mentioned the most common diseases that force the child to stay at home. 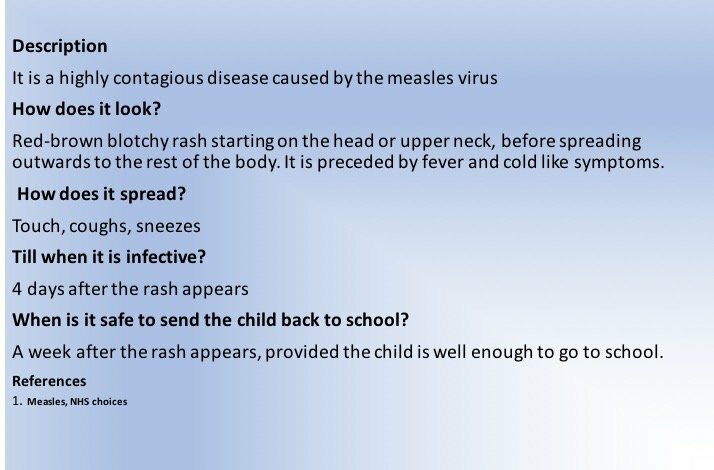 However, the child may just have a runny nose or low-grade fever. What to do in such cases? The rule of thumb is to trust your instincts. The most common issue with these illnesses is that your child might end up infecting others. However, at school, his health might suddenly deteriorate, and that is a real concern. With children, the problem of dehydration is severe, so here is what you do. Is there a fever? - keep the child home till he is well enough to sit upright for the duration of the school. Is he having a runny nose? If there is no fever, and he can wipe his own nose, send him in. Is he having trouble breathing? Consult a doctor and then manage accordingly. Is he having an upset tummy? 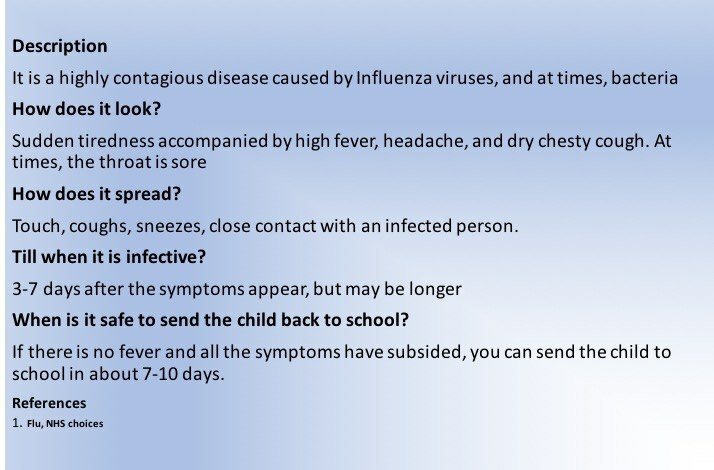 You can brave school after the symptoms subside. For older children, the rules may change a bit. However, make sure that your child looks well enough and is relatively symptom-free to send him in. Have we missed something? Do let us know in the comments below.